POSTS What’s the Best Fitness Tracker for Paddling? What’s the Best Fitness Tracker for Paddling? Do you want to find the best fitness tracker for paddling? If so, a tracker that comes with waterproof features is what you’ll need. My number one pick is the LETSCOM Fitness tracker. 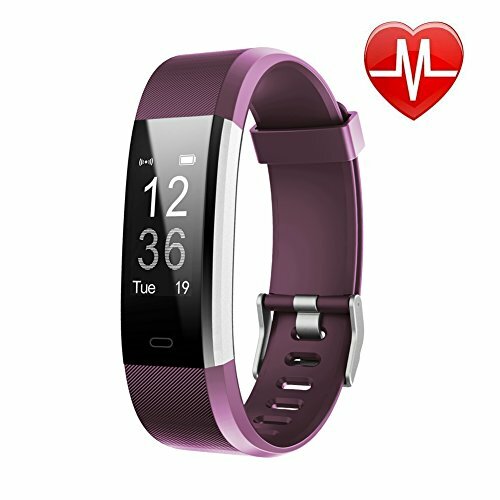 It’s waterproof and comes with a range of other features that make keeping a track of your fitness a breeze. The affordable price was also one of the criteria points that helped it to the number one spot. I’ve also researched three other fitness trackers that are great for paddling too. Be sure to have a quick read of each tracker to help you find the one that suits you best. 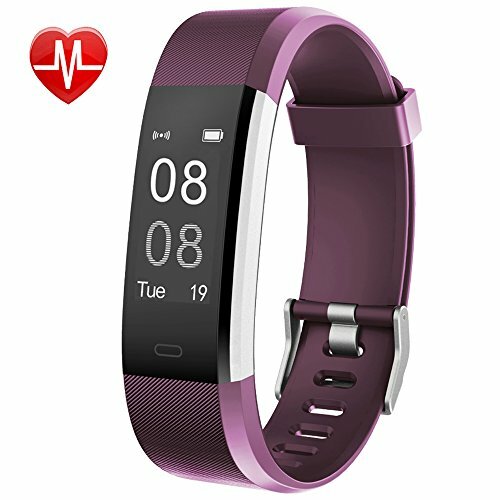 The LETSCOM Fitness Tracker is my number one choice due to the number of technological features it has to offer at such a great price. It tracks all day and night and uses smart connectivity to see notifications from your phone on the tracker. Of course, it’s waterproof and lightweight. So, you’ll hardly notice it while paddling. 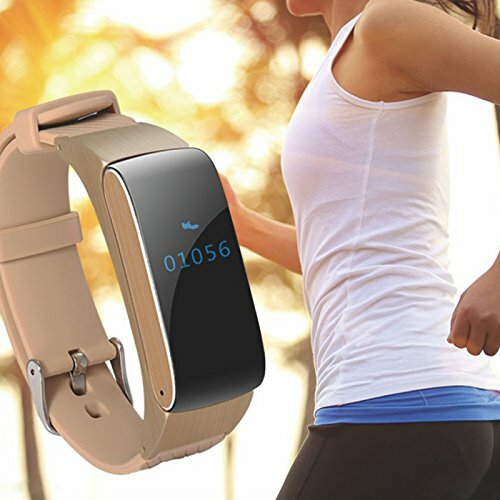 With an IP67 rating, you can be assured that this fitness tracker is waterproof. So, while paddling, you won’t have to worry about any water splashing onto it. Instead, you can enjoy your time out on the water. I liked how the activity tracker works all day and night. It works to track everything from the number of steps you’ve taken, calories burned, and heart rate. If you want to know more about the best heart rate monitors for rowing, take a look at our review here. You’re also given information on your sleep via data that gets recorded when you’re sleeping. So, you don’t have to remember to use certain modes to track something specific. This tracker does it all automatically for you. If you’re interested in advanced fitness tracking for triathlons, check out our review here. If you’d like to receive notifications from your phone without having to take it out on the water, you’ll like the Smart Connectivity feature. Once you sync the tracker to your phone, any messages or calls will be shown on the tracker. There’s no need to take your phone out while paddling and risk damaging it. When I first came across the LETSCOM fitness tracker, I couldn’t help but admire the design. It’s lightweight, slim, and has a small OLED screen that’s 0.86” in size. As a result, it never gets in the way while you paddle. I was impressed by the battery life that’s available too. 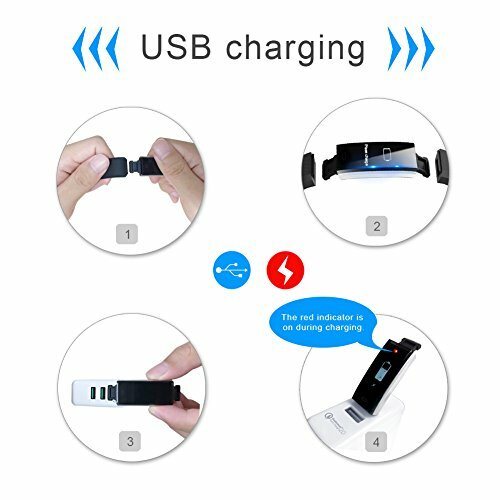 When it’s fully charged, you’ll be able to use the tracker consistently for 10 days. This provides you with a great peace of mind if you’re adventuring outdoors on a longer trip. 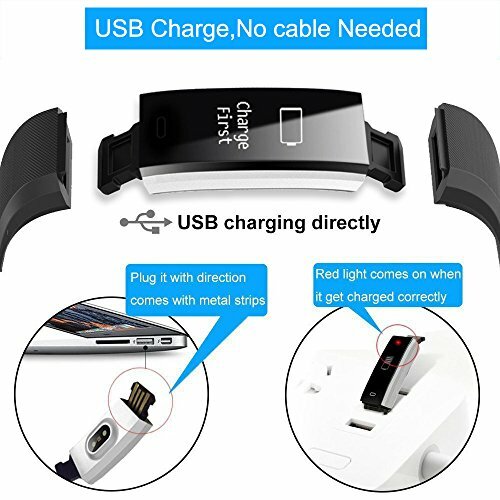 Furthermore, it takes just an hour to fully charge. A green light automatically turns on when you fall asleep – it can be distracting! Customers rate the Willful Fitness Tracker lower than the LETSCOM with 3.8/5 stars on Amazon. Overall, I really like this choice, due to the accurate tracker, waterproof design, and notification aspect. However, the cons are more significant, which is why it’s in the second spot. I was glad to see the fitness tracker technology is pretty accurate. It keeps track of the calories burned, steps taken, and distance travelled. They’ve also included a total of 14 training modes. The HR sensor is excellent at monitoring your heart rate too. These features can be useful if you’re using paddling as a form of exercise. You’re able to collect data on the quality of your sleep with the sleep monitor function. It provides you with details on whether you had a deep and restful night’s sleep or not. I was a little disappointed at how it only works to track your sleep between the hours of 9pm-8am. The LETSCOM tracker starts collecting data whenever you fall asleep. You can sync this tracker to your phone to ensure you never miss anything. Everything from calls and texts, to emails and social media notifications can be seen on the tracker with ease. This is largely due to the LCD screen available. It’s HD and 0.96” in size. As a result, you can clearly see your notifications. I liked how they’ve constructed this tracker to have a waterproof rating of IP68. This gives you the assurance that it can resist damage from water while paddling. Even if you were to accidentally fall in, this fitness tracker would still work perfectly fine. The maximum battery life is around three days shorter compared to the LETSCOM. However, with a total of seven days available, it’s still impressive. Seniors may prefer a tracker that’s easier to get to grips with. To learn more about FitBit’s for the elderly, check out our review. If you’re after a functional fitness tracker that also looks fantastic, this Joystar choice may be exactly what you’ve been looking for. One of them main features that makes this tracker great for paddling is that it’s waterproof. It has a rating of IP68, which means you can swim under water with no issues. I was surprised that it’s able to track your time while swimming, as well as the number of strokes. This is a result of the unique swimming mode function. It enables you to track your stats specifically in regard to swimming. Therefore, the information you get is a lot more accurate. You’re also able to monitor your heart rate and sleep quality. Users have also been liking the sedentary reminder. If you’ve been still for too long, the tracker will remind you that it’s time to start moving. Syncing the tracker to your phone is simple and allows you to receive all your notifications. This includes calls and texts. So, if you’re paddling out on the water, you won’t ever miss any important messages. For the most part, fitness trackers are designed to be functional. But the Joystar tracker has managed to combine functionality and style. 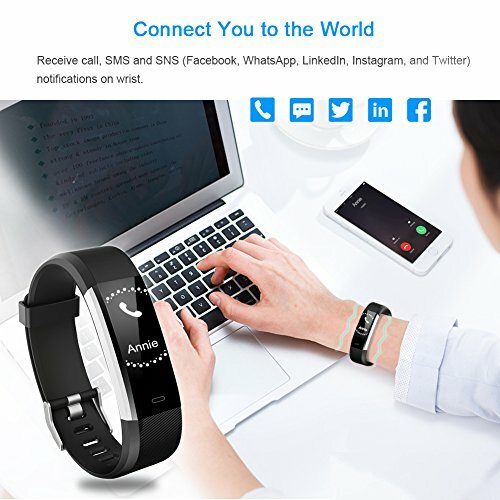 Therefore, I decided to include it for anyone who wanted a fitness tracker that they could keep on at all times, regardless of where they are. I’ve also seen customers mention it makes for a good gift idea! 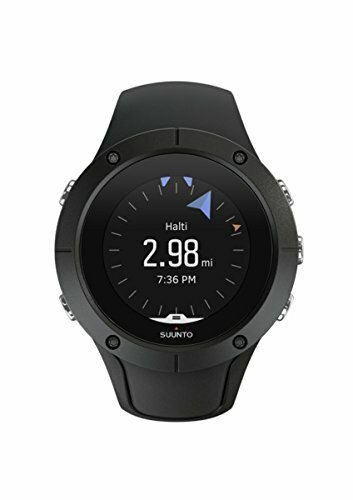 Anyone who has a higher budget will be more open to highly technological fitness trackers – and the Suunto Spartan Trainer is one of them. One of the most notable features about the Suuno Spartan Trainer is that it’s a very compact size. This is great for paddling as it will never get in the way of your activity. 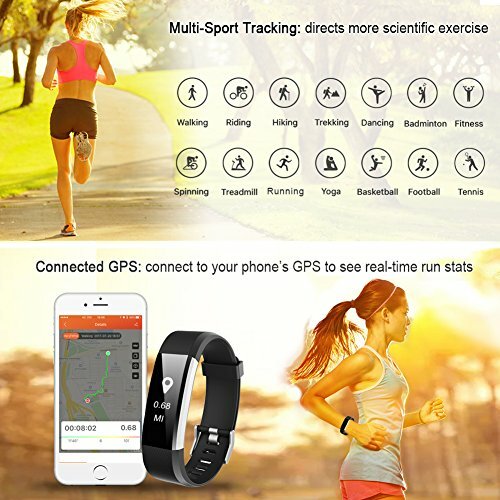 Your distance travelled, calories burned, speed, steps, and pace are all tracked accurately. An advanced GPS receiver communicates with satellites to ensure that the activity tracked is completely accurate. This GPS satellite communication means that you’re given maps of your surroundings. This is a great benefit if you love going out on adventures. These maps include various lakes and rivers which can be fantastic for paddling. There are more than 80 different sports modes available. People who are into being active and fit will appreciate these sports modes the most. It comes with excess post-exercise oxygen consumption and peak training effect functions too. They provide you with very detailed information about your workouts to progress further. I recommend the LETSCOM fitness tracker for most people looking to paddle. 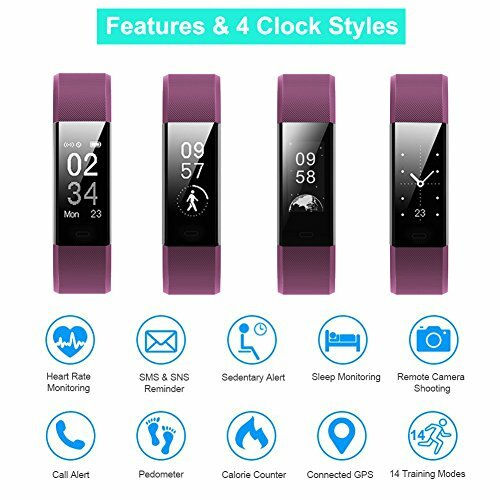 It’s waterproof and accurately tracks your activity. Not to mention, the Smart Connectivity, 10-day battery life, and lower price. The only downside I could find was that a green light comes on when it senses you’re sleeping. Having said that, it’s quite minor and easy to overlook. The Willful Fitness Tracker is the runner up. 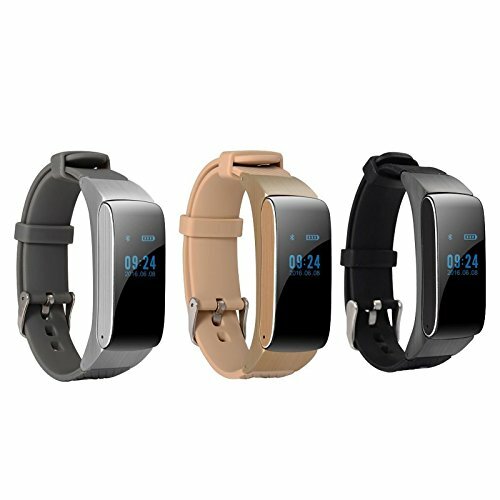 It’s another great affordable option with an impressive battery life, useful fitness tracking features, and notification function. However, users have said that it’s harder to get to grips with it. For a good mix of style and function, the Jeystar Fitness Tracker is a fantastic option. It comes with handy features while you’re out paddling, such as the waterproof design, fitness tracking, and call/message notifications. 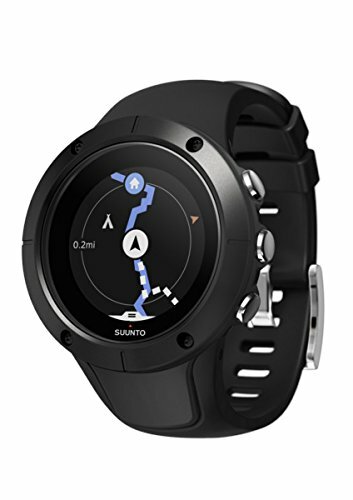 If you’re after the best fitness tracker for paddling in terms of the most technological features, the Suunto Spartan Trainer will suit you well. The price you pay is a lot higher, but it’s worth it. With GPS and satellite communications, over 80 sports modes, and a compact design, I found the higher price tag may be worth it for some. Use our review to help you narrow down the choices to find the best fitness tracker for paddling. If you’re interested in kayaking, you’ll want to check out what some of the best Garmin fitness trackers have to offer.